So this exists. 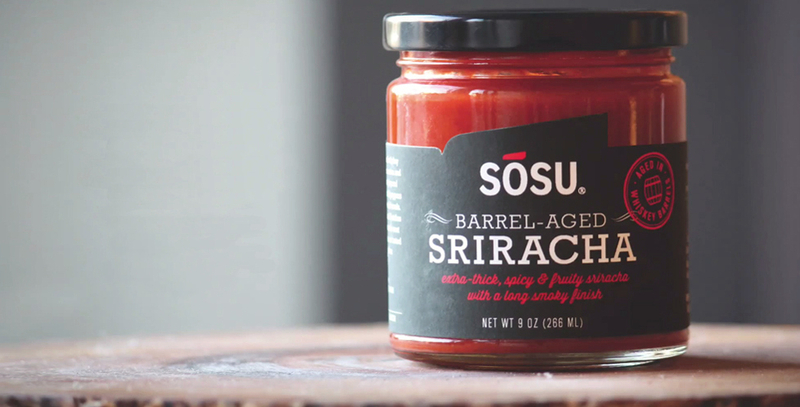 Barrel-aged Sriracha. Drink it up. Let your eye holes soak it in. Aged in whiskey barrels for 1-3 months to give the sauce an interesting oaky and rich character that you won’t find in your standard Thai chili sauce. I’m sold. You should be too. The only downside to this tastesplosion? It’ll cost you 25 bones. If you’re still interested, you can pick it up over at CoolMaterial.com. This entry was posted in Uncategorized and tagged Barrel-Aged, Burning Sensation, Condiments, Food, Hot Sauce, Smoky, Spicy, Sriracha. Bookmark the permalink.